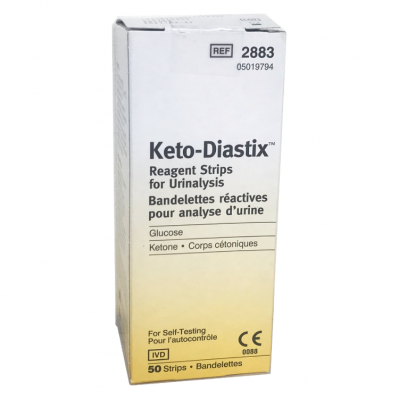 Use Ketostix urine reagent test strips to monitor ketones in your urine to ensure that the body is not using too much fat for energy. They can be used to monitor fat burning on a ketogenic fat loss system, or any other fat burning regime or low carb diet. Suitable for self testing. The results of these tests will determine whether changes to your diet or medication need to be made. Each container contains 100 individual ketostix. 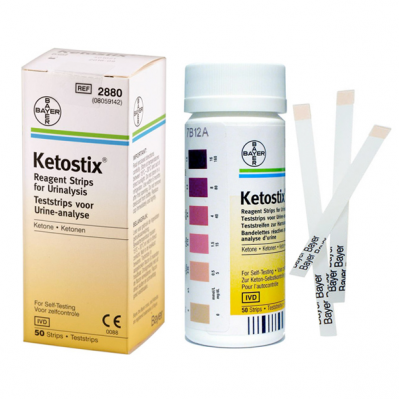 When should you test for ketones? 1. Collect a fresh specimen of urine in a clean, well-rinsed dry container. 2. Take a test strip from the tube and close again immediately. Press the stopper on again firmly to make sure that the container is properly closed. 3. Briefly (no longer than 1 second) immerse the test strip in the urine. 4. When removing the strip, wipe the edge against the rim of the specimen container to remove excess urine. 5. 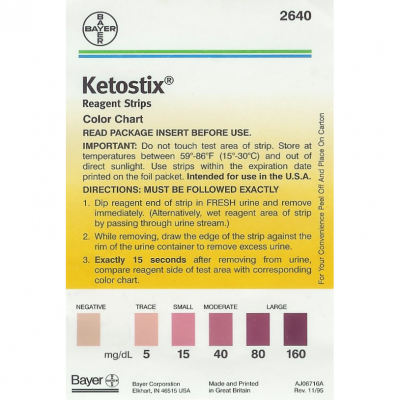 Wait 1 minute and then read the ketone test area. Colour changes which appear only along the edges of the test area or after more than 2 minutes are not diagnostically relevant. The test strip may also be held directly in the urine stream and the excess urine shaken off. 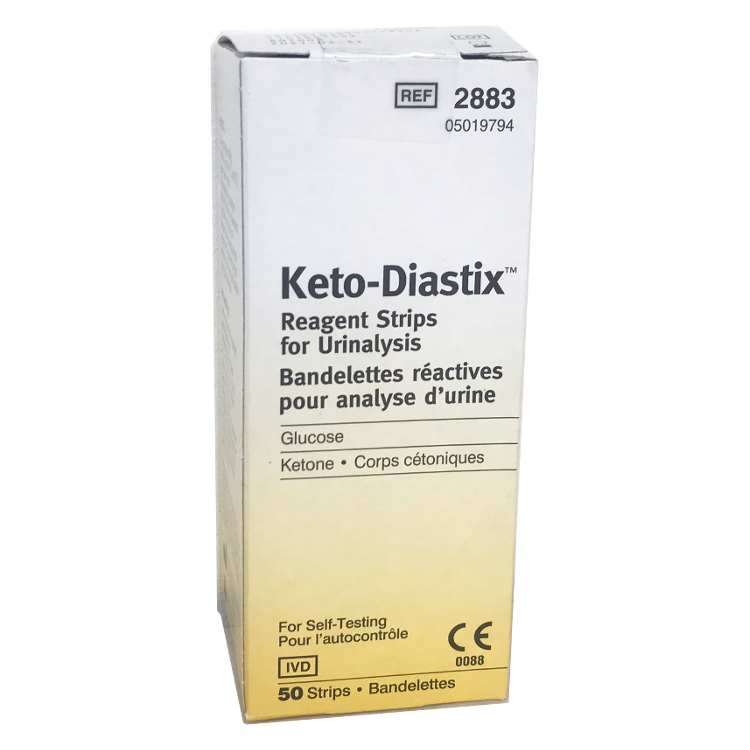 Ketostix Reagent Strips are for in vitro diagnostic use. Dip-and-read test for ketone in urine. Keep your fingers or other objects from touching the reagent area before testing. Do not use product (opened or unopened) after expiration date. Use of strips beyond the expiration date may yield low results. Store at room temperatures between 59°-86° F. Do not store the bottle in direct sunlight. Use only if tamper evident seals on this carton are intact. Replace cap immediately and tightly. Do not remove desiccant from bottle.